There’s something about NEW that is so exciting to me. I can’t wait to see how this new product will completely change my life for the better. Which is why I became a blogger, because none of my friends wanted to hear me ramble about new beauty products anymore. But when I already like something and it gets improved? Holy Moley, momma’s gonna need a second to collect her thoughts. That’s exactly what happened with (my favorite) blogger Maskcara’s IID foundation, blush and illuminator. The new foundation and contour formulas are perfection. Quick refresher: The old formula came in a highlight and low light foundation duo pack. Both cream shades were right in the compact and could not be removed. The blush and illuminator came in whipped mousse/gel formula in a tube. I loved that everything was a cream or mousse, but the foundation formulas never set totally for me. The shades were so on-point though, especially for fair skin contouring. 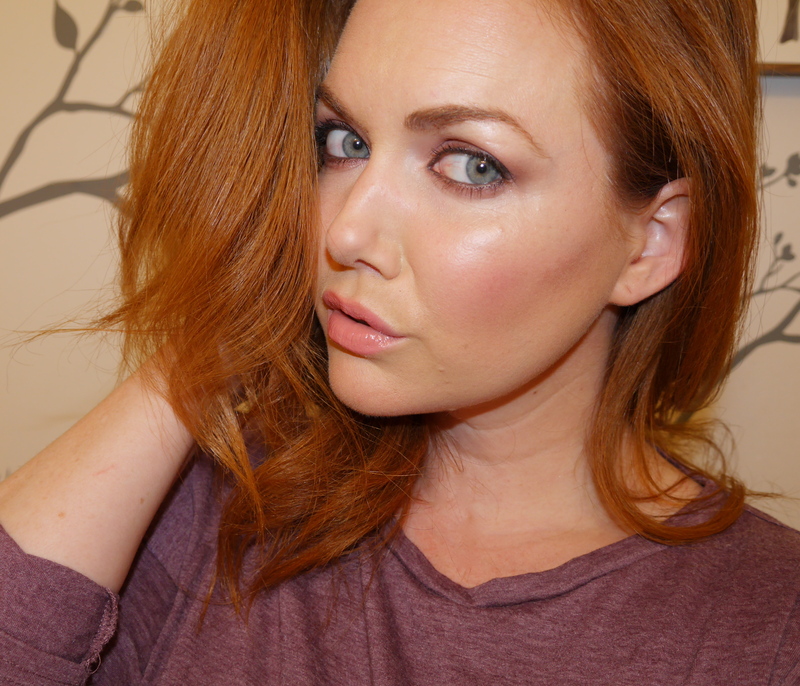 I am obsessed with the illuminator and blush formulas and continue to hoard them. They were absolute perfection in every way possible. The new formulas come in an interchangeable pack. There is room for four different products. So you can have four shades of all contour products if you want. Or a blush, illuminator, highlight, and contour shade all in one pack. It’s totally customizable, which is amazing. If you tan a lot, you could get all three contour shades and the illuminator and have a year round highlight and contour pack. I got the shades: walnut (contour), sunlit (highlight), illuminator, and pink grapefruit (blush). The compact is a super durable white plastic container, with a mirror in the lid, and a magnet on the bottom. It retails for $42 filled with four products and the compact. Each product container is .2 oz and retails for $9 on it’s own. The product containers are all metal, so they stick to the compact securely. 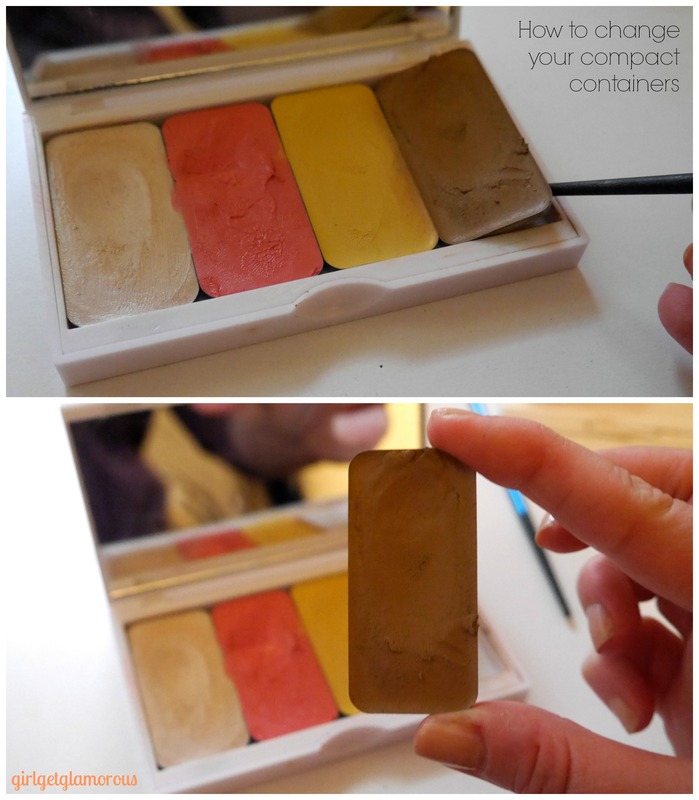 The compact can also be purchased for $15 on it’s own, not filled with any products. The refills can also be put inside a larger compact, because they are magnetized. I love that the new formulas come in interchangeable containers, I think it’s good for the environment that you can hold onto the compact and only have to replace a little tin each time. It also lets you work through the products at your own pace. I tend to use the contouring shade more than any other, so I will definitely be needing to replace that sooner than the others. It’s also super budget friendly, to only have to spend $9 to replace your contouring, foundation, or blush! Shipping is free over $50, so it’s not a bad idea to throw an extra refill in the cart with your initial order. You’ll be stocked up for when you run out and get free shipping. The only downside to the compact is that if you use your brush to apply the shades, they can get a bit of the product onto the other shades. The new compact is super durable. How do I know? Oh, because one day I accidentally SWEPT it full force off my counter and onto the floor. To this day I still don’t know how it happened. I must have turned quickly, brushed it with my booty, and knocked it off because I heard the loudest crash and said inside my head “no, no, no” and did not want to see what fell. When I saw that was was my brand new Maskcara compact, a piece of my heart got sad. There is no other way to describe it. I hadn’t even taken pictures yet and I already thought I had broken it. My heart sank and I sighed and bent over slowly to survey the damage. I painfully opened it up and *WHAT* there was no damage anywhere. I was so happy but also confused. I turned it over, no cracks. I opened it up and the mirror and all the product containers were firmly in place and totally fine. I stood in shock for a minute then promptly went to close it and somehow stuck my finger into the corner of the blush. Sigh/Laughter/Irony. Like the original cream formulas, I find these work best if you mix them up a little bit with your finger or a makeup spatula. This really gets the formula perfectly creamy and ready to blend into your skin. The new formulas set within a few minutes, which makes them absolute perfection in my book. They set to a comfortable finish, not quite a powder, but they don’t budge or slide around your face. I still set the contour lightly with my Anastasia powder in Fawn. I set all creams and liquid products with a powder. 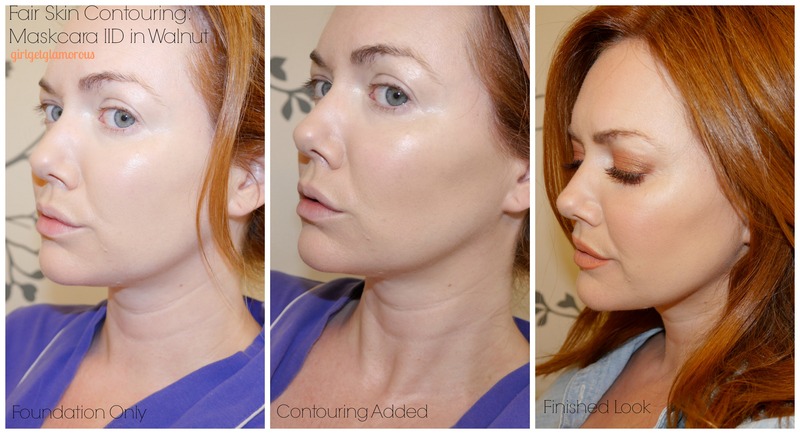 My favorite thing about the contour shade is how PERFECT it is for fair skin. I get the lightest amount on the widest side of the brush, run it down my cheekbones, across my forehead, dip it back into the contour shade, and run that under my chin and jawbone. With other darker products, I’d be spending time on blending and blending and more blending, but this goes on the perfect shade and amount with the brush. I feel like it’s taken five minutes off of my makeup routine and made my contouring look super natural. I also like the new blush and illuminator cream formulas, but I’m not going to lie, the mousse tubes have a special place in my heart. I would add a swab of the illuminator into a pump of my foundation and have perfect glowing skin. The new formulas are super close to the old shades and being able to have them all in one compact make it easier for travel makeup. I just loved that dang mousse texture so much! There are multiple ways to use the products. You can use the highlight and contour shades as your foundation for light coverage. Or you can use them over a tinted moisturizer or foundation for medium to full coverage. I generally use the contour shade and illuminator over foundation, because I do like medium coverage. I posted photos below both ways. Okay, let’s get to NEW NEW NEW. This dual sided brush is brand spankin’ new. Before, Maskcara had recommended using the It Cosmetics dual sided brush, which is amazing – as all their brushes are, but definitely a splurge for most gals. 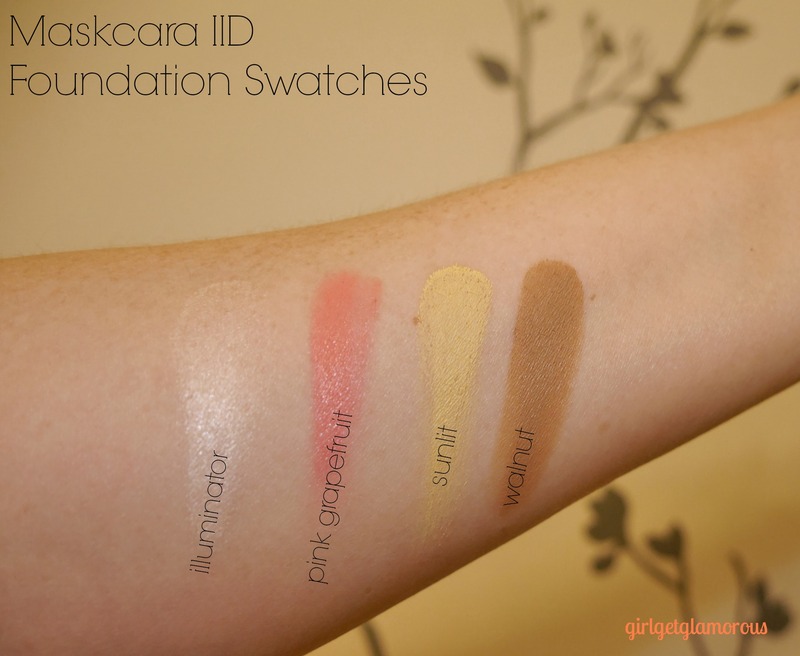 Also, the foundation side might be a bit too big for the new compact, so I’m so glad Maskcara came out with her own. It’s $32 and has both a larger side and narrow side, both with synthetic bristles that are so soft. First, you know my love for a dual-sided brush. It’s two brushed for the price of one and reduces clutter. 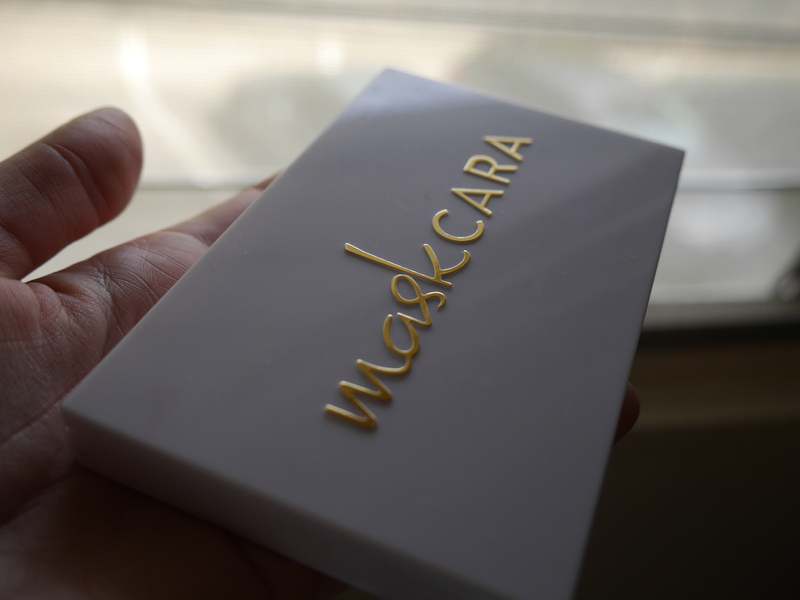 The Maskcara brush works perfectly with her products’ textures and the size is great. I pinch the large side to make it a little flatter while I’m getting product on the brush, then let it go back to full size and sweep in back and forth over my cheekbones, around my forehead in an arch, and under my chin and jawbone. I feel like I’m applying the contour and blending everything at the same time, which I love. Time is money, honey. I use the smaller side to apply and blend the illuminator. You can wipe the brush clean on a paper towel or face cloth (if you are a lucky lady with an at-home washer/dryer) to use the same brush for the blush and contouring. I love how easily the larger sides blends. I’m so happy with it. Here is the me wearing Sunlight + Walnut as my foundation and contour, with Pink Grapefruit for my blush and the illuminator on the tops of my cheekbones. You can see how “Sunlit” brightens but doesn’t show up yellow once it’s blended. Size difference between the new compact (top) and old compact and tubes (bottom). Thank you so much for reading! Please feel free to share this post of Facebook or Pinterest. Just hover above the photo and a red “Pin It” button will appear like magic! Follow me on Instagram @girlgetglamorous. 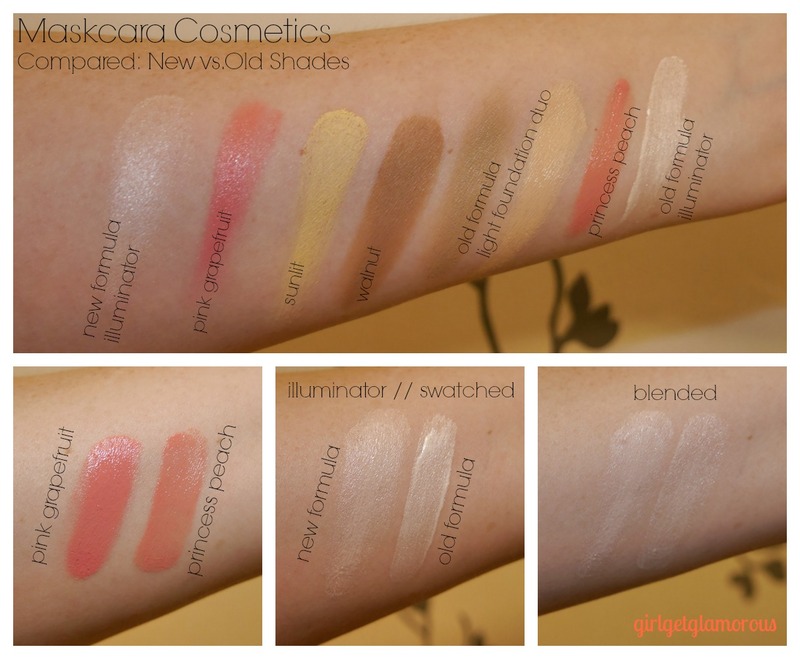 *Thank you to Maskcara for sending me the new generation to try for my unbiased review. Thank you, Liz! Glad to hear you like it too and thank you about my post 🙂 I’m so, so impressed with this formula, it’s perfect!! 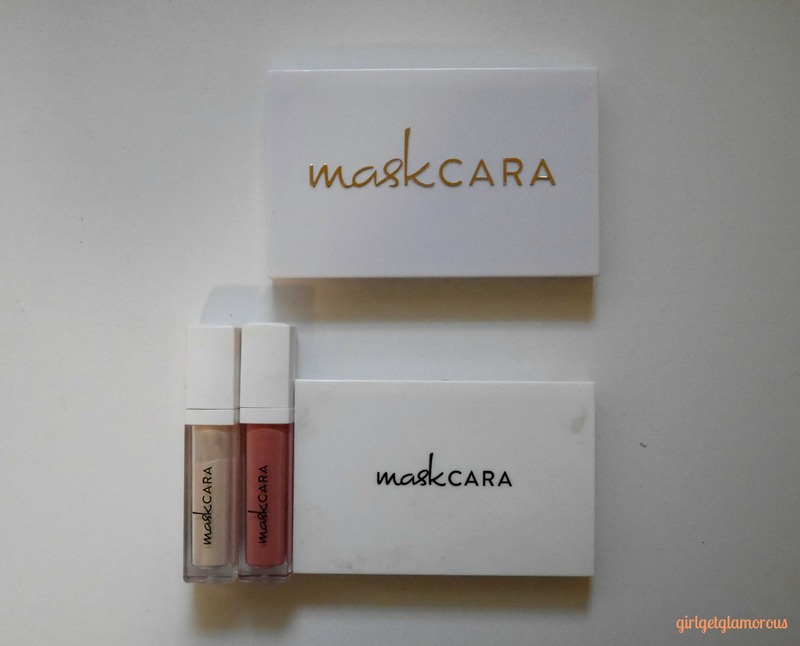 I love Maskcara’s products! FYI, I have a very similar skin tone to yours and used the sunlit for awhile, but never completely fell in love with it. 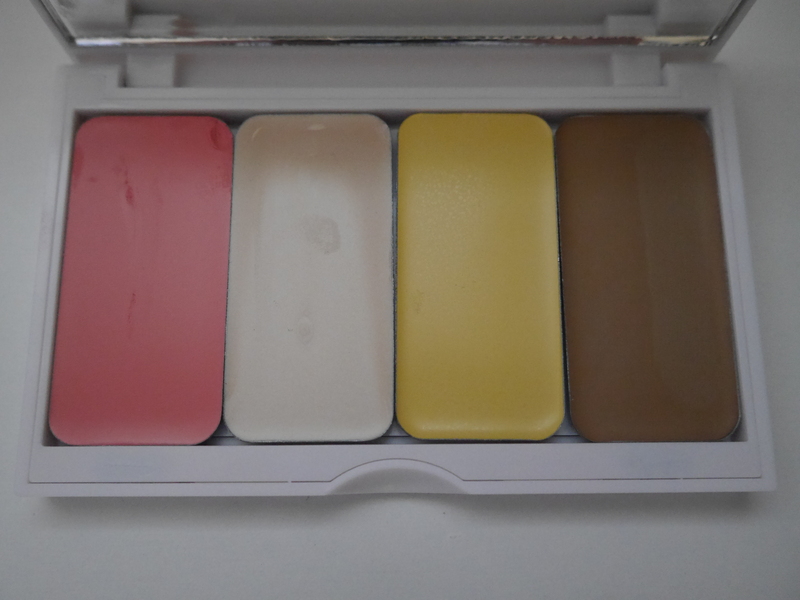 (The Pink Grapefruit blush, Illuminator and Walnut are all perfect for me, though.) I finally purchased the Linen and the difference is unbelievable – it is perfection. I think you will be amazed at the difference on your skin!